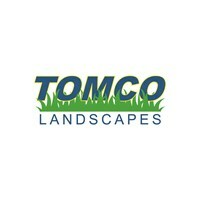 Tomco Landscapes - Driveways/Patios/Paths, Landscaper based in Chelmsford, Essex. Tomco Landscapes was established in 2016 in order to deliver a high quality Landscaping and maintenance service to both domestic and commercial clients throughout Essex and East London. With many years experience within the industry we are able to offer a trustworthy, high quality and value for money service whatever your needs. We offer a free consultation in order to gain what exactly you aim to achieve from your open space. Whether its a landscape installation or implementing a full maintenance programme we can help. We try to ensure where we can to source local and quality products to ensure a high standard of finish to our work. Our staff are highly trained and are brimming with knowledge enabling us to undertake a wide array of projects. Please get in touch today to discuss your needs.